Hillary Clinton: Running against Donald Trump would be "quite the showdown"
Democratic front runner Hillary Clinton on Thursday night said the general election will be "quite the showdown" if she wins the Democratic nomination and Donald Trump is the Republican nominee. "If I'm so fortunate to be the nominee, I'll run against whoever they nominate," Clinton said on NBC's "The Tonight Show with Jimmy Fallon," adding that Trump doesn't intimidate her. 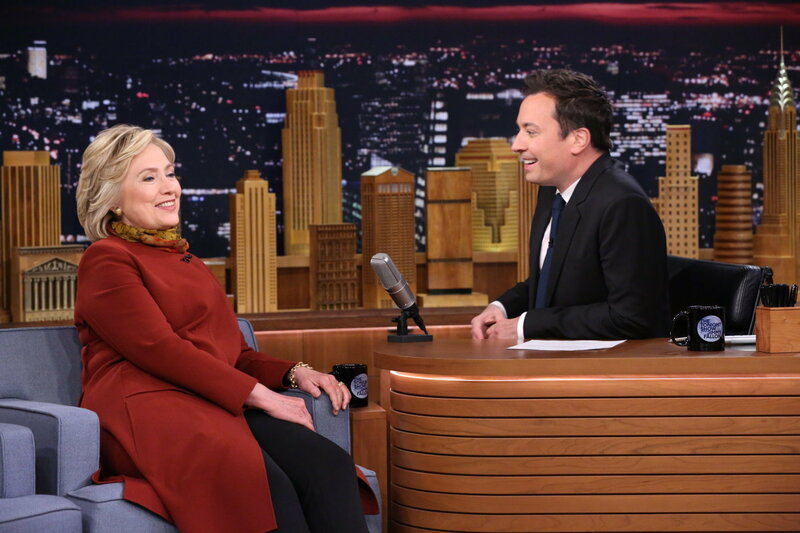 As Fallon asked Clinton about Trump, she remarked, "He's a lot more obsessed with me than I am with him." Clinton appeared on the program hours before the sixth Republican debate. Fallon suggested she could make a drinking game in which she took a drink every time the candidates said something negative about her. "I don't think I'd make it past the first half hour," she responded. Asked about polls showing an increasingly competitive race between her and her Democratic opponent Sen. Bernie Sanders, Clinton said, "Once you get into it, this is a Democratic election for our nominee. It gets really close, exciting, and it really depends on who makes the best case...I find it exciting."